Esme is so grown up now that she is 5 years old! 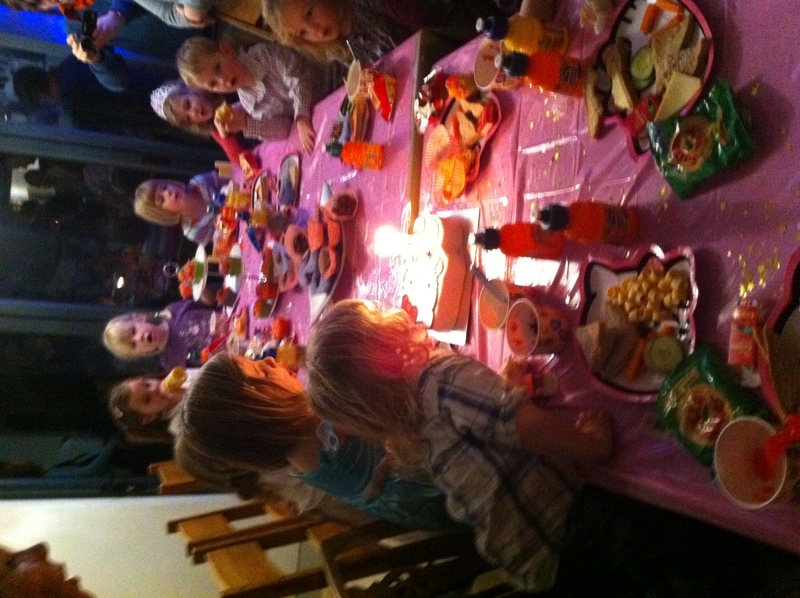 She had a fabulous party with her friends and Corky the magician and entertainer after which Danae cooked a superb spaghetti followed by a tarte tatin for all the family. Esme stayed up till nearly 11 pm and didn’t wilt. Thom joined us from Norwich where he had watched the Orient win to continue into the next round of the FA Cup. West Ham and Torquay are also through so there may be some interesting clashes of interest.